The 26th Western Japan Football Tournament was completed in Yamaguchi on Sunday, FC Mi-o Biwako Kusatsu emerging as the shock winners of the competition. 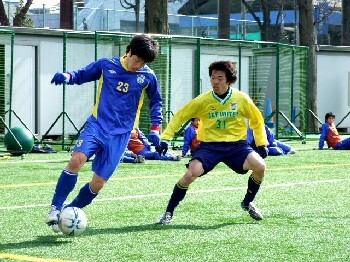 They beat Kansai League rivals Banditonce Kobe 3-0 on penalties after a 1-1 draw in the play-off game to decide the first and second-place teams. 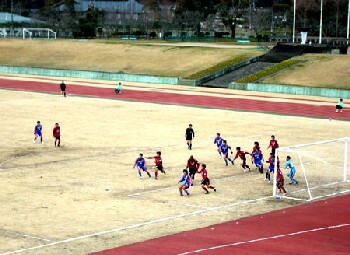 In the other three fixtures, V Varen Nagasaki from Kyushu claimed third position with a comfortable 3-0 win over the ultimately disappointing Fagiano Okayama; in fifth were FC Central Chugoku, penalty shoot-out victors at the expense of Kamatamare Sanuki; and Nippon Steel Oita condemned Shikoku's Nangoku Kochi to the wooden spoon with an emphatic 7-3 drubbing. The full results and final rankings for the competition are as follows.